A perfect honeymoon & small family yacht to get closest to the islands. Ideal for your first sailing experience! Jubilaeum is a classic ketch and has sailed the world. In 2014 she underwent a complete refit, making her one of the most well-equipped and beautifully restored yachts of her class in Asia. A true high performance sailing yacht which combines excellent manoeuvrability, impressive speed, and 3 spacious guest cabins. In immaculate condition, Aphrodite was conceived and built for luxury and comfort. Aphrodite combines the sailing qualities of a high-performance yacht with luxurious and comfortable cruising: a true blue-water sailing yacht. 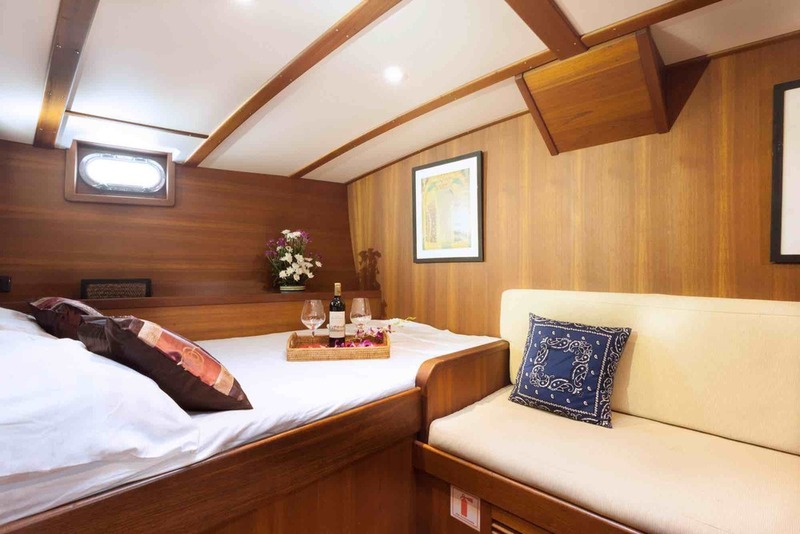 Aventure is a gorgeous, flush-deck yacht built in Southeast Asia and with great love for detail. 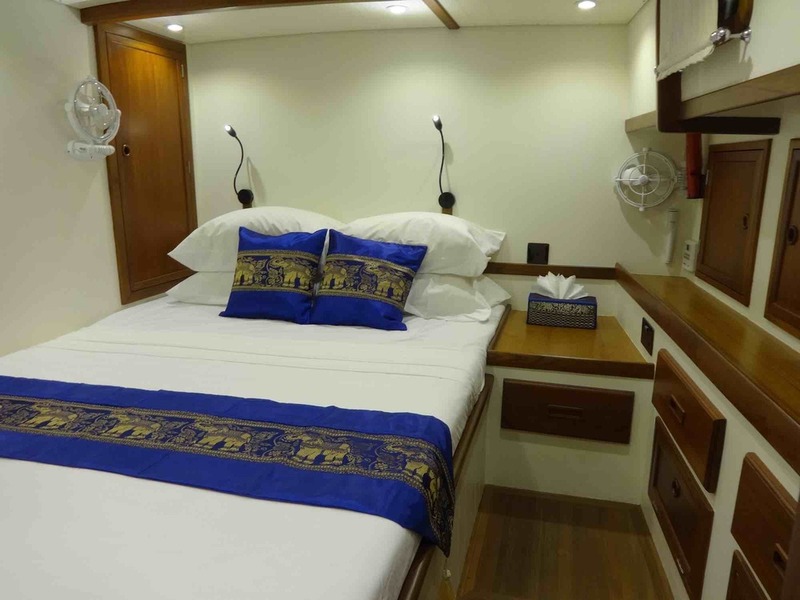 She features three spacious guest cabins and a very high level of luxury and comfort. Silent S55 a compact and luxurious catamaran, the first of it's kind in Asia which was build with the focus on pure solar powered luxury. This yacht will be available from mid-December 2018. 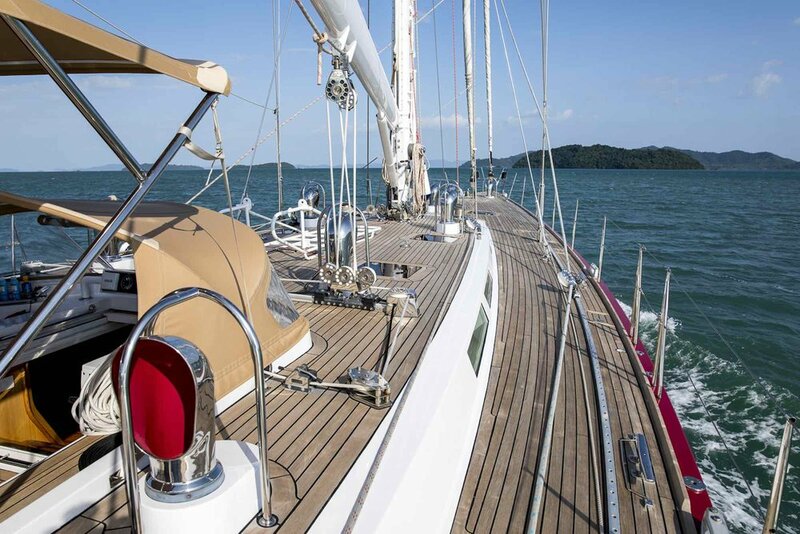 Meta IV is a classic wooden two-master designed by the famous naval architect Thomas E. Colvin and made entirely of Thai teak. 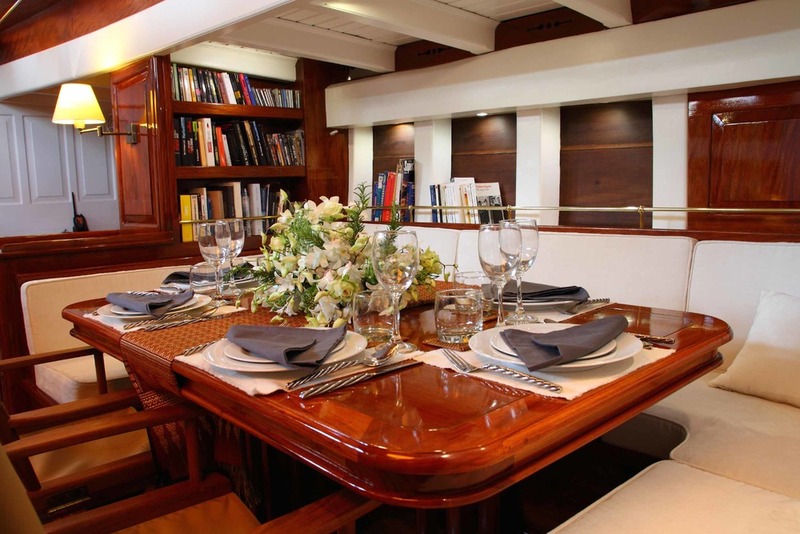 In 2012, she was completely refurbished and started her new life as a luxury charter yacht. Dallinghoo is a classic schooner with space for 8 guests. She's extremely well equipped, her water toys include diving gear and a small sail boat to play with while at anchor. Drenec is a very spacious high-end exploration vessel. Her classic exterior lines and traditional detailing are skillfully combined with all the modern interiors and systems required for safe and comfortable expeditions.